“It’s a very important place for us,” said Grace Dumelle, who is a lector at St. Barbara Parish and whose husband used to be an altar boy there. She’s been attending mass at the church for 29 years now. “Many generations of families have gone to these churches and there's, you know, they've had weddings there. They've had funerals there, baptisms, things like that, so it's going to leave a big hole if these places are closed,” she said. St. Barbara Parish and School were established in 1910. 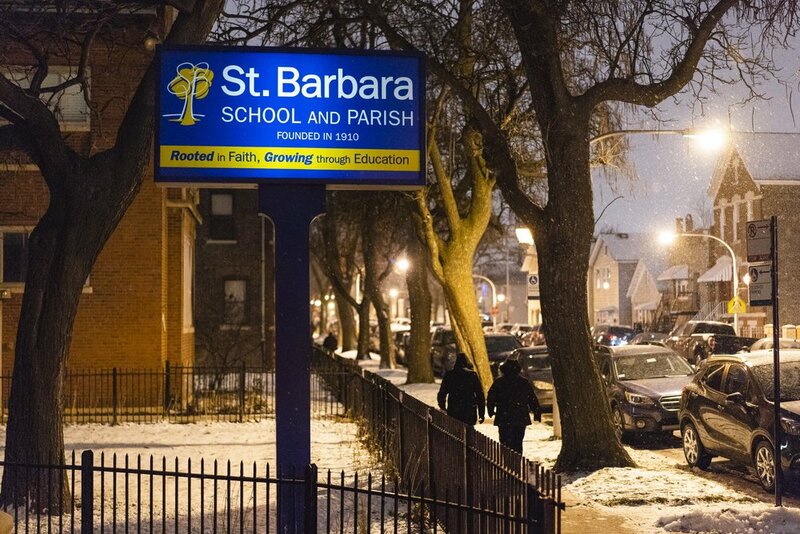 St. Barbara is just one of the parishes that might be closed or merged with other existing churches in the area, in accordance with the Renew My Church initiative of the Archdiocese of Chicago. The announcement came at a community meeting that was closed to the media on Wednesday night. Cardinal Blase Cupich, archbishop of Chicago, decided on changes after having discussions since January this year with representatives from the eight affected parishes, said Father Jason Malave. Malave is the cardinal's liaison for the Renew My Church initiative. Renew My Church was set in place partly to address financial constraints. “Many of our parishes face resource constraints that prevent them from achieving strong mission vitality, including low parishioner counts, low priest availability, unsustainable operations and signicant deferred maintenance,” according to a report by the Archdiocese of Chicago. It is still unclear how much they are saving by consolidating parishes and schools, said Malave. 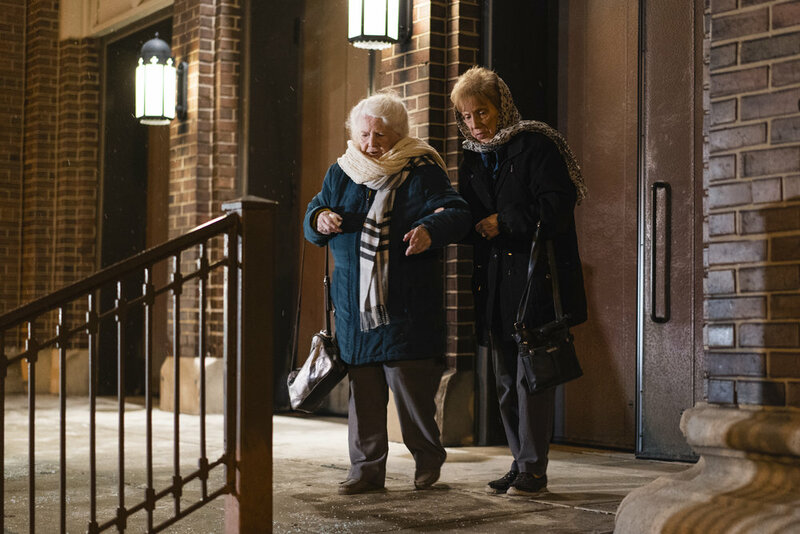 Chris Campbell has been a parishioner at St. Gabriel's Parish for 56 years now and said that while she is dismayed by the news, she will keep her faith. In September, the Chicago Tribune reported that the Archdiocese of Chicago agreed to settle with a man who said that he was sexually abused by Daniel McCormack, who was a priest at St. Agatha’s Parish on the West Side. The settlement is worth $2.95 million. “During 2017 and 2016, the Pastoral Center settled several legal claims related to allegations of past sexual misconduct by priests with settlements totaling $40,973 and $15,080, respectively,” reads an independent accountants’ report of the financial statements of the Archdiocese of Chicago. This report is published on the archdiocese’s website. Additionally, settlements for victims of sexual abuse committed by priests amounting to $140 million have been paid by the Archdiocese of Chicago over the past 30 years, according to a statement released by the archdiocese in 2016. “The financial cost of misconduct has had a significant impact on our ability to support the mission of our Church,” the report read. Grace Dumelle, a long-time parishioner of St. Barbara Parish, holds a sign in front of the church before entering the meeting. Malave declined to comment on the new list when a reporter asked about it at the press conference after the community meeting about church and school mergers. St. Barbara School will merge with St. Therese Chinese School. Both campuses will be retained, but the current principal of St. Therese Chinese School will lead the two. The principal at St. Barbara will assume an administrative role and help make leadership decisions. The curriculum of St. Barbara School will also change, according to Malave. “Current St. Barbara students will be automatically accepted into St. Therese Chinese School,” read the press release. They will prioritize hiring staff and faculty from St. Barbara School to join St. Therese Chinese School. Cardinal Cupich’s decision on what to do with St. Therese Chinese, St. Barbara, All Saints-St. Anthony and St. Mary of Perpetual Help parishes is delayed until at least mid-January 2019. Santa Lucia-Santa Maria Incoronata Parish will close no later than June 2020. They have not yet decided what to do with the church property, said Malave. The school will also shut its doors by June 30, 2019 because of declining student enrollment. Santa Lucia-Santa Maria Incoronata Parish and School will be consolidated with St. Jerome Croatian Parish and School on July 1, 2019. The church structures of Nativity of Our Lord and St. Gabriel Parishes will still be open to parishioners but the two will merge under one parish leadership. For the 2019 school year, Bridgeport Catholic Academy, which is currently under Nativity of Our Lord, and St. Gabriel School will have their own campuses and principals, but will report to one pastor who will lead the new parish. Other parishes might close in the future, according to Malave, but the decision will be made next year and there will be an effort to involve the community in these decisions. Edwin Reyes, a parishioner and parent at St. Barbara Parish and School, was just as skeptical as Dumelle. Others like 89-year-old Chris Campbell remain steadfast in their faith.